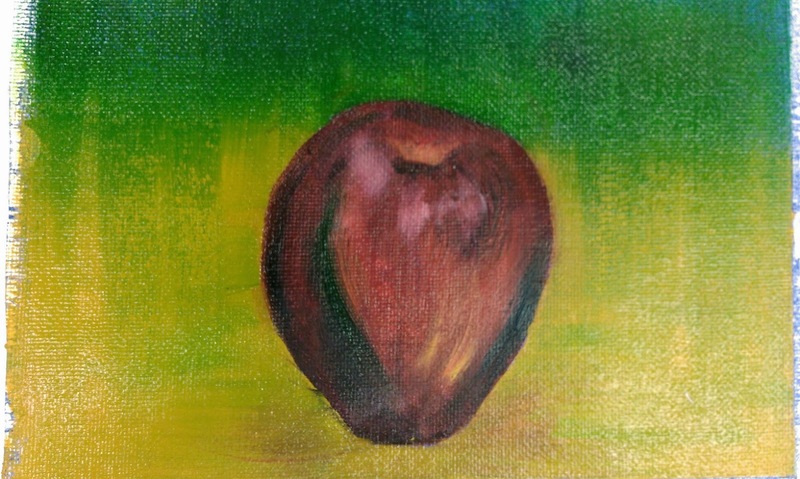 For our practice pieces in oils I did two apples, one with a brush and the other with a palette knife. I definitely liked using a brush more than the palette knife because I felt like I had more control on where I wanted the paint. Oils were definitely different from mediums I have used in the past because of how long it takes to dry and I could go back in two or three days later and still blend more paint into the existing colors. But at the same time, the wet paint makes it tricky because no color I laid down stayed that color because it blended with others so it was hard to make bright highlights. All the whites on top of the red became pink and the yellow became orange. 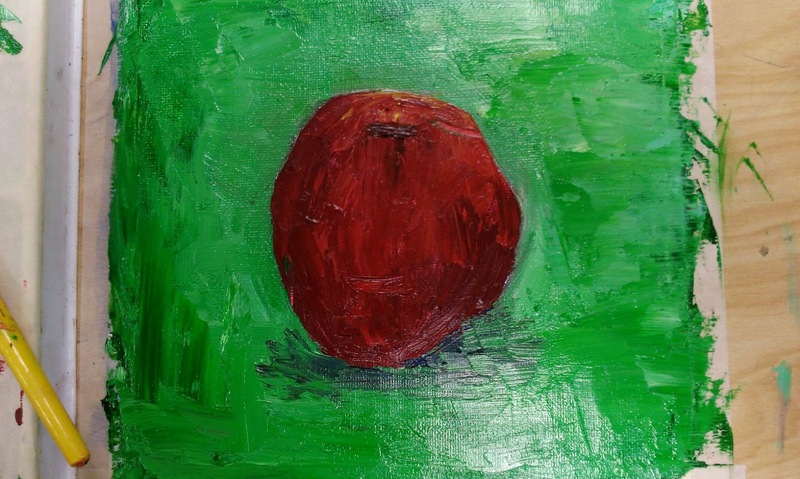 With the palette knife, I was laying down much thicker coats of paint which made it hard for me to keep the reds in the apple separate from the green in the background.